Ever struggle with stale content that is no longer relevant? Notejoy offers the perfect solution: you can archive notes, notebooks, and libraries to mark them as no longer relevant, hide them from browsing, but keep them searchable when needed. 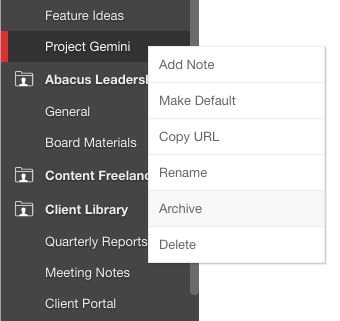 To archive a note, right-click on the note in the notes list and select Archive. Once you confirm, this will mark the note as archived and collapse it into an archived section at the bottom of its notebook. You can still find this note via search at the bottom of your search results. You can always right-click on the note and select Unarchive if needed. To archive a notebook, right-click on the notebook in the sidebar and select Archive. Once you confirm, this will hide the notebook from the sidebar and also archive all the notes within the notebook. You'll still be able to find these notes via search if needed. Now when you go to that library's overview, you'll see a mention of the number of archived notebook in the header. Any time you need to get back to an archived notebook, just click on the archived notebooks number in the library overview and it will let you select an archived notebook to view. Once viewing the archived notebook, you can unarchive if you ever need to by right-clicking it in the sidebar and selecting Unarchive. 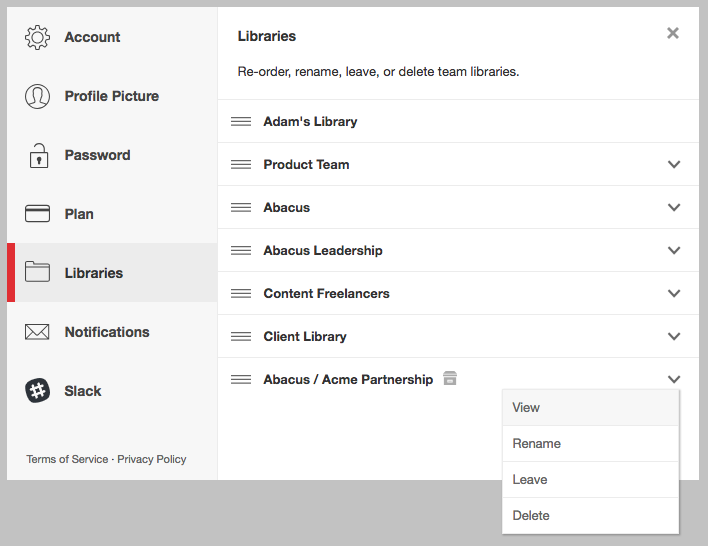 To archive a library, right-click on the library in the sidebar and selected Archive. Once you confirm, this will hide the library from the sidebar and archive all its notebooks and notes. You'll still be able to find these notes via search if needed. To view an archived library, go to the Libraries pane in Settings. There you'll see all your archived libraries and can select View from the drop-down to view the archived library. Once viewing the archived library, you can unarchive it if you ever need to by right-clicking it in the sidebar and selecting Unarchive. To take advantage of archiving notes, notebooks, and libraries, upgrade to Notejoy Solo, Plus, or Premium today!